Last month, in a move reminiscent to that of the U.S. government's decision to ban online gambling, which led to companies like PokerStars being forced to cease operations in the U.S., the parliament in Cyprus banned the use of online casinos and exchange betting to all citizens, regardless of status, brand or legality. The legislation had been in the pipe line since 2010 but was recently passed through after a unanimous vote in favour of the ban. 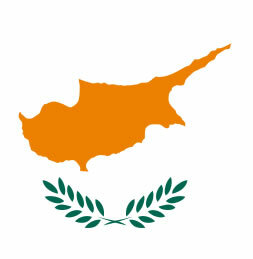 This means that it is now illegal for those living in Cyprus to participate in online poker or betting games. The Cyprus Mail reported that the unpopular bill will regulate legal gaming and place a tax on net betting revenue after winnings. However, responsibility for upholding the new law falls on the Cyprus police forces, who have conducted a number of raids in order to crack down on illegal gambling operations. Companies or individuals found to be in breach of the law will be libel to pay a fine of up to €170,000 and/or will face a five year jail sentence. Recent raids have produced a small number of suspects and computers seized in connection to these operations but police have stated that these actions will continue to ensure that illegal online sports betting is eradicated from the Mediterranean island country. Christos Christofides, the deputy government spokesperson stated that the online gambling business was a "social wound." Controversy has stemmed from the ruling that OPAP, the organisation that runs the lottery, is exempt and will be allowed to continue operating. This is due to the bilateral agreement that the company has between Greece and Cyprus. Many companies have found issue with this and Betfair, a betting website, is due to take legal action. They believe that the ruling does not adhere to European Union law and are in discussion with advisors. StockMarketWire.com reported that 4 per cent of Betfair's revenue in its last financial year was generated in Cyprus. This amounts to approximately £9 million. However, a more pressing concern is the affect this decision will have on the economy of Cyprus. Financial experts predict a decline in the revenue that Cyprus will receive due to the law. Legislators estimated that online poker, casino games and slot machines see a €2.5 billion annual turnover.